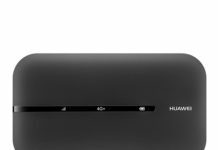 Huawei E5180 4G LTE CPE router is currently available in Czechoslovakia through T-mobile carrier with a price 3549 CZK. The new LTE modem Huawei E5180 is an elegant solution to connect households to the Internet with LTE download speeds up to 150 Mb / s or upload speed up to 50Mbps. If there is no 4G LTE signal is available then it will automatically select 3G or 2G whatever is available. 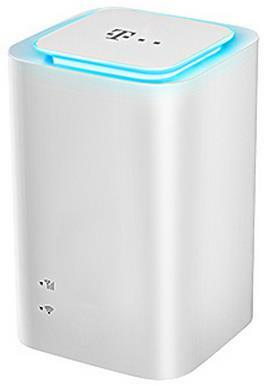 The E5180 is able to connect up to 32 WiFi enabled devices through its inbuilt WiFi modem. It also comes with a RJ-45 port and one RJ-11 port, which you can connect a traditional computer or other network element LAN. The router has its own 1500mAH removable battery. The Huawei E5180 supports 4G LTE 1/3/7/20/38 (FDD 800/1800/2100/2600 and TDD 2600MHz), GSM 850/1800/1900/900, and UMTS 900/2100 frequency bands. It supports mini SIM and HSPA+ network it is able to download a file with up to 21.6Mbps while upload speed limit is 5.76Mbps. If your device is locked to a particular network, then you can not use any another SIM without unlocking it. How to Unlock Huawei E5180 4G LTE CPE router? Change the default SIM with another network, plug to PC with LAN cable, login to the router and search option for NCK / unlock / SIMlock and enter the code. Additionally, you can try to detect the device under FMC unlocker by connecting to PC through LAN.